He was born in an obscure village. He never held office. He never had a family or owned a house. He didn't go to college. He had no credentials but himself. He was only thirty-three when the public turned against him. 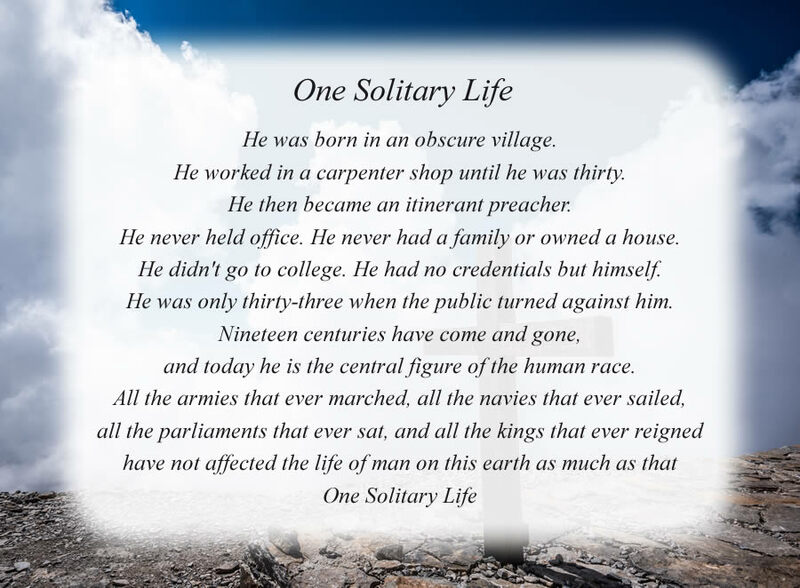 The poem, One Solitary Life, is free and printable by opening or downloading using one of the three links below. One link is for the poem with the Cross and Clouds background as shown above. The second is for the poem with a plain white background. The third link is for the Cross and Clouds background without the poem, in case you would like to print a different poem on this background.